How to Make our Food Systems Sustainable? Agroecology is this short answer. It can help us establish sustainable food systems. Just a few month back I was very surprised and unhappy that we were to be taught this subject. But since I attended this subject’s first class I have been in love with it. So, the first question in your mind would be what is wrong with our current food system. The following infographic will make that clear to you and later on I’ll ramble about it. The current agriculture is highly dependent on human inputs. This dependence is mainly due to the agricultural practices like monoculture (planting same crop over a larger area), intensive tillage, use of fertilizers, insecticides, pesticides, factory farming, etc. These practices make an ecosystem of their own that is agroecosystem. Agroecosystem cannot sustain itself. In this system, energy and nutrients are lost. It is not resilient to disturbances and change. It has very simplified food chains. Hence, agroecology applies ecological principles to agroecosystems. This can be done by increasing biodiversity thus making food chains complex, agroecosystems stable, reducing dependence on human inputs, etc. Some of these methods have been beautifully described in the following infographic. 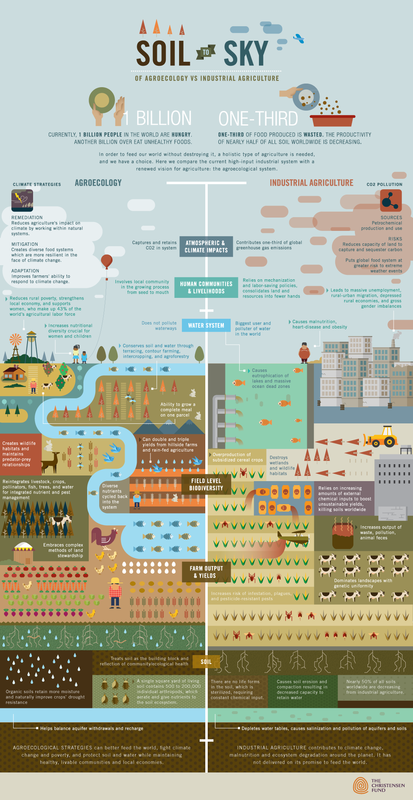 The difference between agroecological and conventional agricultural practices can be observed very clearly in this infographic. 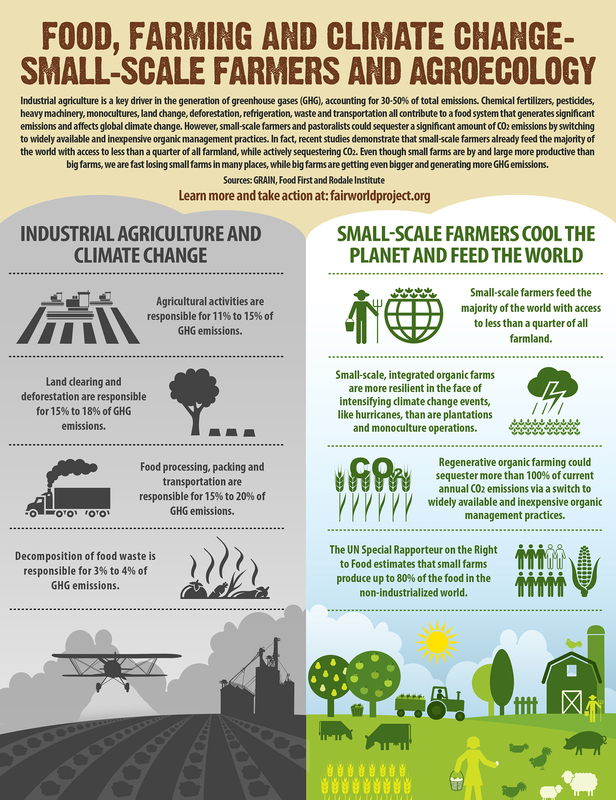 Here goes an infographic about how agroecology relates to climate change. Sources of infographics have been linked. Well, that is correct, but there were many big animals that are now extinct. Most of the huge animals disappeared after human beings came into being. The reason of extinction was over hunting (but some human lovers’ say the reasons were over ill and over chill). I have collected the names and pictures of some of these huge animals. P.S. I don’t know why I selected that heading. I know it is wrong,but it sounds so right :-P.
What Have We Done to The Aral Sea? I have prepared an infographic for you so that learning about this sea can be made easier. I was shocked to know about this sea’s deterioration and current size. This is the result of our carelessness in the use of the resources gifted to us by God.